As summer quickly approaches and the warm air beacons, you might be concerned with the added costs of running the air conditioner and the carbon footprint that energy use will leave behind. Before you start sweating it out inside, consider ways that you can save energy and money outside your home. 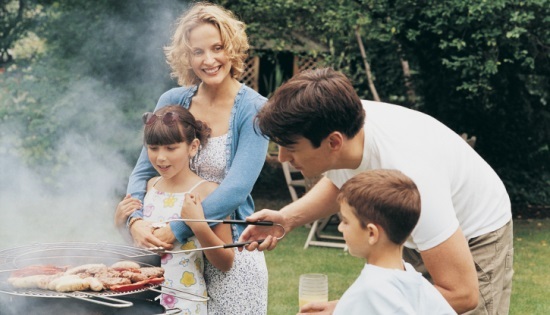 There are many energy-saving things you can do outdoors that can help save energy and keep your home comfortably cool in the summer. Whether you like to enjoy your outdoor space at night or simply want more light around your driveway, solar lights are a great energy-saving option. Since solar lights are powered by the sun, they have an infinite power supply that never increases your energy bill. You can light up your outdoor space without ever running electrical wires outside, and they won’t lose power during a summer thunderstorm. These lights also come in many aesthetically pleasing designs that can only add to the beauty of your yard. Invest in an electric mower. The grass always grows faster in the heat of summer, giving your lawn mower a workout. If you want to keep a nice yard and lower pollution levels, consider buying an electric mower. Electric mowers produce fewer emissions, are virtually silent and are considerably lighter than a gas-powered mower. And as gas prices continue to rise, it’s not a good time to keep filling a gas tank. Switching to an electric mower will keep that money in your pocket since they just need to be charged. They also don’t need tune ups, oil or oil filters, lowering your costs for upkeep. As you choose plants for your garden this year, consider buying native plants that thrive in the area. Plants you find in the natural landscape will blossom in your yard with very little maintenance, saving water and energy. Whether you are looking to add some curb appeal or are just trying to keep your home cool in the summer sun, planting trees around your home is the perfect solution. Trees help shade your house from the sun, keeping it cool while adding to the natural landscaping around your home. They are also an excellent way to offset carbon emissions. But perhaps the most appealing thing about planting trees is the savings you might find on your monthly energy bill. According to the Arbor Day Foundation, planting trees around your home could cut air conditioning costs by up to 35%. So where should you plant them? The sun is at its hottest in the afternoon, so plant trees on the west and northwest sides of your home to provide that much needed afternoon shade. Also, planting trees around your air conditioning unit can help keep it cool so it doesn’t have to work as hard in the hot summer sun. Make the most of beautiful weather by cooking on your grill. Regardless of whether you prefer charcoal or gas, cooking on the grill adds a certain flavor that can never be matched on the stove. Besides great tasting food, a grill allows you to keep the heat outside where it belongs. Ovens can heat your home, causing your air conditioning unit to work harder and use more energy.